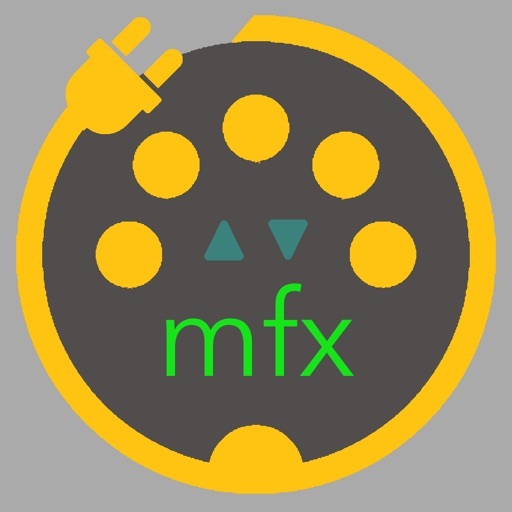 mfxWobble lets you bend your MIDI pitch without touching the pitchbend lever. 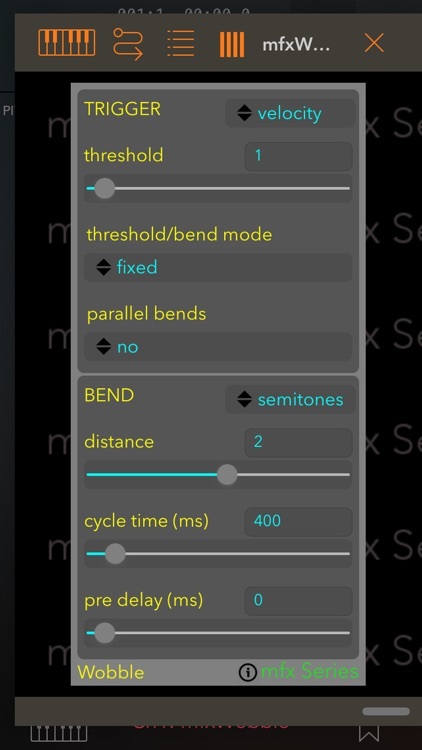 Bends are triggered by incoming notes or aftertouch and you set a length of time for the bend to smoothly cycle to the specified depth (or height) and back again. The distance of the bend can be proportional to the velocity of the note being played, so the harder you play, the further the bend. A threshold control sets the starting velocity that must be reached before a bend starts. The bend cycle can be pre delayed. 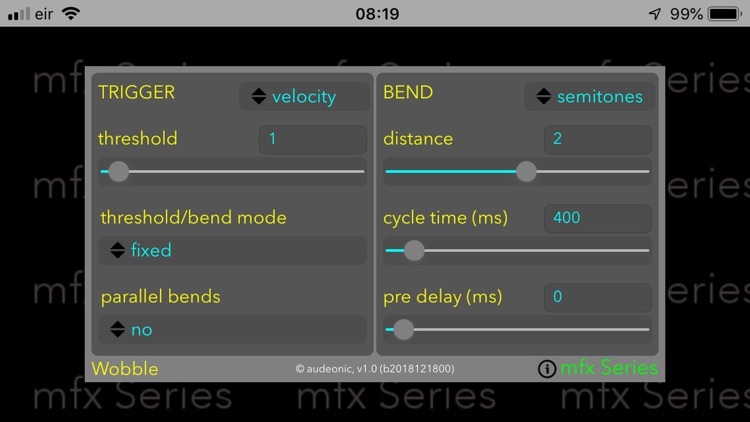 For an interesting effect try turning 'parallel bends' to 'yes', play a few notes and hear the multiple bend cycles push and pull that bend lever against each other.